This great new volume shows readers how to create fabulous one-block wonder quilts with a whole host of different fabrics. "One-Block Wonders Encore!" features 6 original quilt projects that will teach you how to choose the right fabrics and create dramatic designs - including hollow cubes, sliced open cubes, and tumbling blocks - all with simple, practical techniques. A bold new spin on one-block quilts. 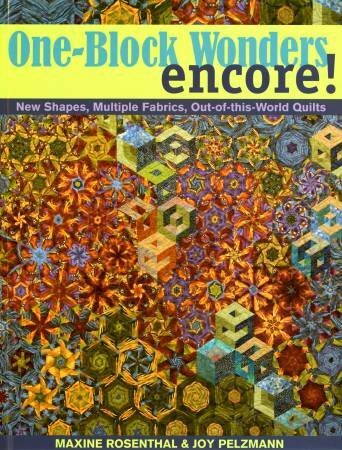 You'll love everything that's new in this exciting sequel from the best-selling author of One- Block Wonders: stunning new quilts, new visual effects and new ways to add even more color to your quilts.